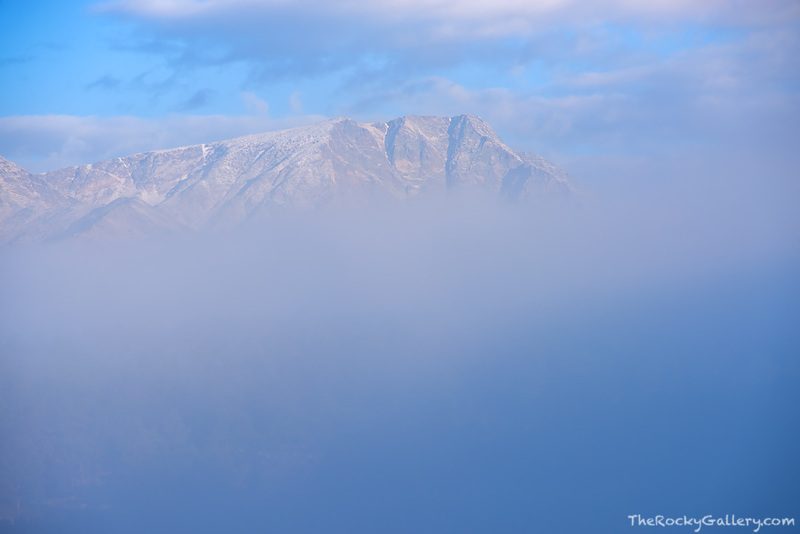 Fog envelops the Mummy Range and Ypsilon Mountain on a cool October morning in Rocky Mountain National Park. Ypsilon Mountain plays peek-a-boo as the fog rolled in and out of Moraine Park allowing brief moments where I was able to photograph granite face of Ypsilon. Photo © copyright by Thomas Mangan.